Upload hundreds of product gallery images in minutes using zipped file and CSV! 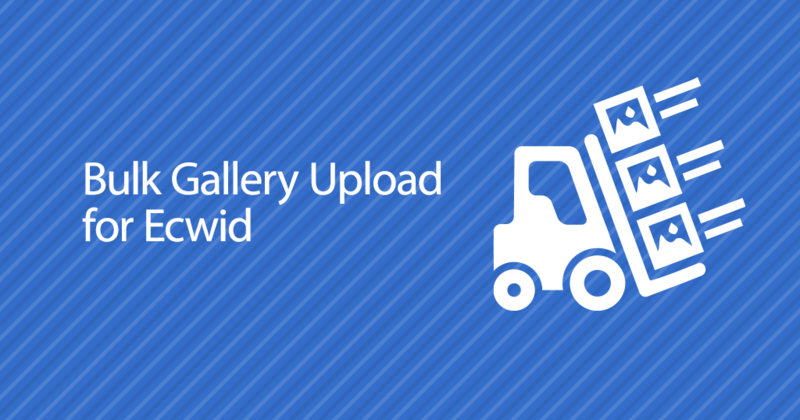 Need to automate upload gallery images? This is the way. Collect all the pictures you need into a single ZIP-archive. Warning: Be careful about file names: due to ZIP standard restrictions, use only ASCII characters (“A-z”, numbers, points, commas, hyphens and underscores are valid). Export products to Tab-delimited .CSV (Product ID column is required). Edit .CSV file: add “gallery_image” and “gallery_image_title” columns (required). Fill cells with image file names and descriptions (“product_id” cell value is required to link gallery image with appropriate product). Save this .CSV as Tab-separated, Utf-8 encoded (Some programs saves this format with .TSV or .TXT file name extension). Open “Bulk Gallery Upload” app in your Store Dashboard. Pick .CSV and .ZIP files, select options, and press “Import gallery images” button.